BOOM! 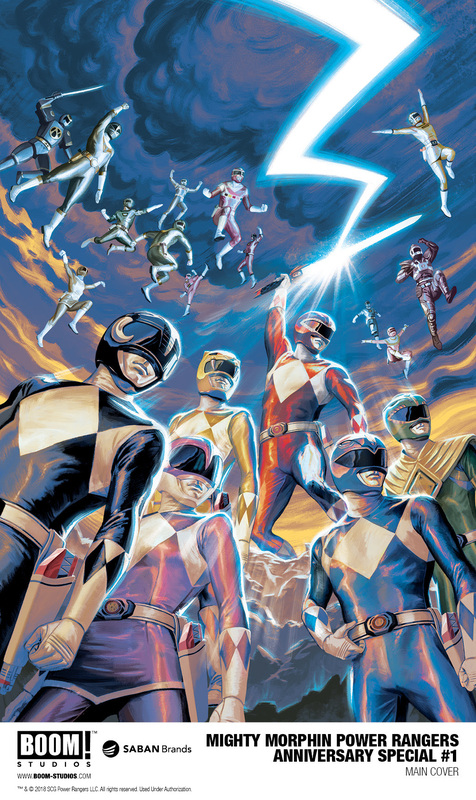 Studios and Saban Brands announced the MIGHTY MORPHIN POWERS RANGERS ANNIVERSARY SPECIAL #1, an all-new oversized comic celebrating 25 years of Saban’s Power Rangers. 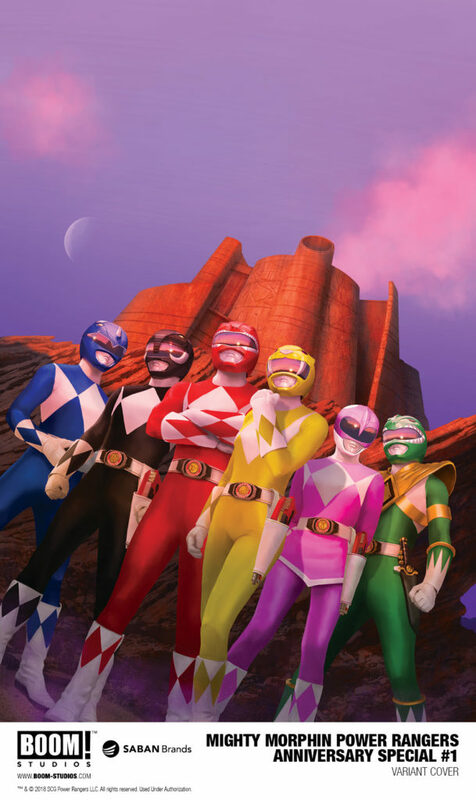 Superstar creators Magdalene Visaggio (Kim & Kim), Joe Quinones (America), Sina Grace (Iceman), Marcus To (Guardians of the Galaxy), and more pay homage to the global phenomenon with original standalone stories set throughout the Power Rangers universe, including the original Ranger team fromMighty Morphin Power Rangers, which premiered on August 28, 1993, as well as other fan-favorite Ranger teams. Print copies of MIGHTY MORPHIN POWERS RANGERS ANNIVERSARY SPECIAL #1 will be available for sale in June 2018 at local comic book shops (usecomicshoplocator.com to find the one nearest you) or at the BOOM! Studios webstore. Digital copies can be purchased from content providers like comiXology, iBooks, Google Play, and the BOOM! Studios app. For continuing news on MIGHTY MORPHIN POWERS RANGERS ANNIVERSARY SPECIAL #1 and more from BOOM! Studios, stay tuned to boom-studios.com and follow @boomstudios on Twitter.